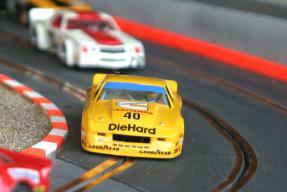 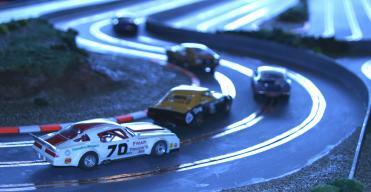 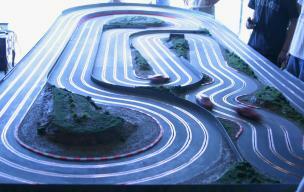 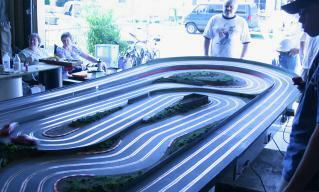 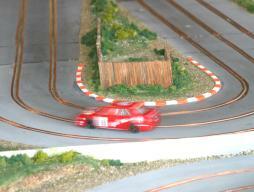 The latest entry into the South East Michigan club racing scene is this really cool 3 lane 1/32 layout. 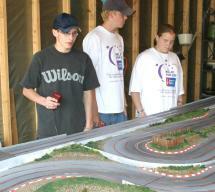 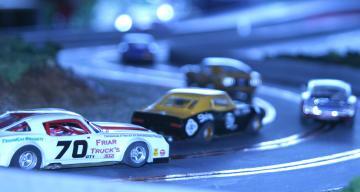 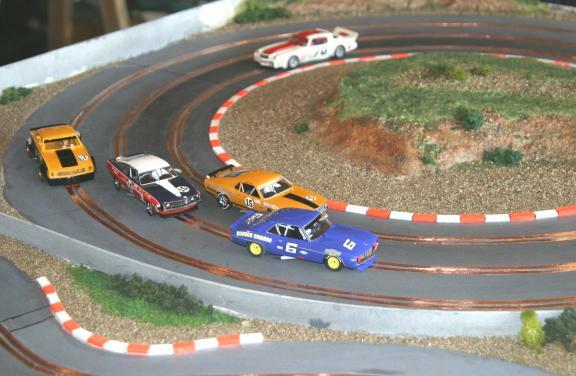 An incredible 80+ feet of racing is built into this 6' x 15' layout. 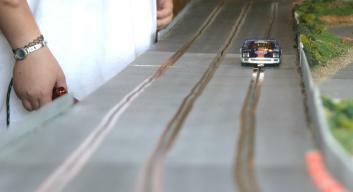 The scenery on this track is particularly awesome and was fabricated using sifted sand to get different textures of gravel, styrofoam blocks, painted sections of vinyl baseboard molding (orange & white borders) and "gypsylite" material following an article on scenery building for model railroads. 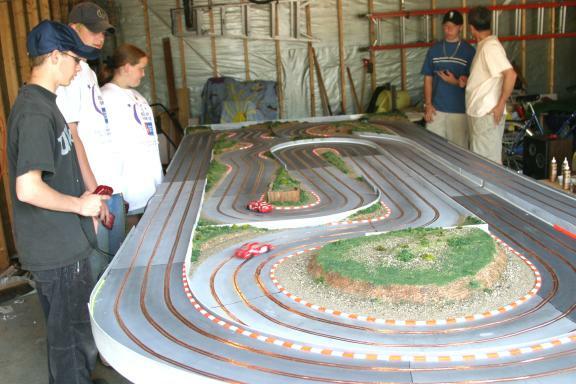 Best of all, the entire track was constructed on a tight budget for just over $200 in materials with the youngsters shown above pitching in for most of the elbow grease. 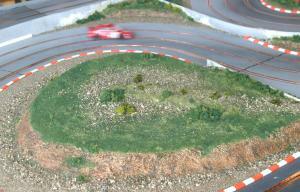 Some of the tight turns require a bit of "dirt tracking" to get around if you are running a long car such as a 1/32 NASCAR, but in general the track is very raceable with a really good mix of straight sections for wide open blasting and squiggly stuff to test the handling capabilities of the cars and the manual dexterity of the drivers.